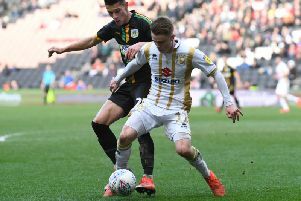 MK Dons' plans to build a training ground have not been scuppered by a proposed 930 houses to be built on the same site, the club has said. Two years ago, Milton Keynes Council gave approval for the club to buy part of the land at Tickford Fields, near Newport Pagnell, for a training base. However since then, there has been little development. Dons were known be looking at land in Cosgrove for a training ground too before the land inside Milton Keynes Borough became available. Plans to build more than 900 new homes in Newport Pagnell will officially go out to public consultation on Friday and Saturday. However, the club, who currently train on public playing fields at Woughton on the Green, say the plans do not effect their plans for a new base. An MK Dons spokesperson said: “The Club has been aware for some time of the plans for housing at Tickford Fields, which are in line with expectations of the new neighbourhood plan for Newport Pagnell.